�No job is too big or too small!! We used Eyal and his guys twice in the last several weeks. Eyal is honest, kind and responsible. Highly recommend! We just had an excellent experience with Premium Movers. The workers were kind, respectful, very efficient and extremely pleasant to work with. It was not an easy move but they did it quickly and safely. After previous experiences with movers we were not happy with, this came as a very welcome surprise. I would surely use them again and recommend anyone else who wants to ensure a stress free, efficient moving experience to go with Premium Movers. Excellent service. They came punctually at the agreed upon time. They worked hard and efficiently. We had offers from different companies and these were among the cheapest. Only Jewish workers. They spoke Hebrew, English and Russian and were very pleasant. They clearly knew what they were doing and did a professional job without damaging anything. They were upfront about how much it would cost and we had no surprise expenses afterwards. We've used them twice already and recommend them warmly. Eyal was professional. 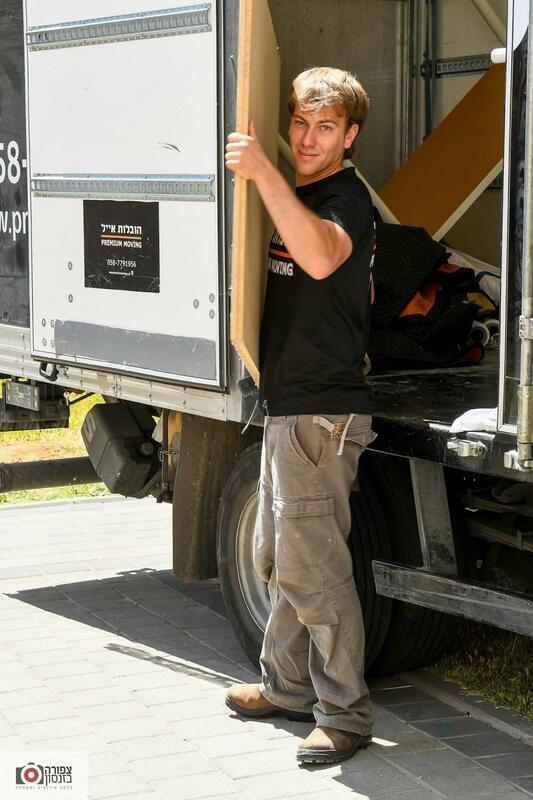 He moved our boxes from TLV to Jerusalem. He was easy to communicate with, honest and open with pricing. I'd happily use his team again. We recommend Eyal and his team very highly. They did exactly what they said they would do, with professionalism and a positive attitude. I would hire them again without hesitation and have already recommended them to friends. They were truly a pleasure to work with. 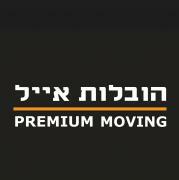 We just used Premium Moving with Eyal, and it was a very very positive experience. I HIGHLY recommend them for all types of moving jobs, large and small, simple and complex. We were in a complicated situation, moving out only part of the contents into a storage location to facilitate a construction project. The movers had to work in a total 'balagan' mess, with construction and workers all over the place, multiple things happening at once, and carefully move selected items from different rooms, including a fragile piano and china cabinet, very heavy dining room table, around 300 boxes of books - you name it, we had it. They worked Carefully, Cheerfully, Courteously, always with smiles and not losing patience with interruptions. We are DEFINITELY planning to hire them be"H in 6 months to move everything back - and I know that will be an even harder move because different items will be returned to different rooms, and we can't plan it in advance yet. But I have confidence that Eyal and his team will do a magnificent job then as well. Very highly Recommended!!! I warmly recommend Premium Moving. Our move was so smooth and easy thanks to them! The staff are all so nice and pleasant. They are very careful with everything they pack and move and are very professional! They take their work very seriously and did a terrific job! Very highly recommended!! It was such a pleasure dealing with Pemium Moving! Not only was his price competitive, but Eyal and his crew were so helpful, friendly and good-natured. We didn't think the base of our bed would make it up the stairs, but Eyal did not give up until it did! Towards the end of the day, after many hard hours of work, I saw that due to a misunderstanding two pieces of furniture were in each other's place. I was hesitant to point it out, knowing how tired they must be at that point, but they switched them for me with a smile! I highly recommend Premium Movers, and welcome anyone considering hiring them to email me if they want further information. Not sure why Janglo is not allowing me to rate them in my review, but I give them five stars! I highly recommend Premium Moving. Their service was professional. Eyal is very easy to work with. His prices were very competitive. I actually used the service for a move of our possessions to storage and then, after a long delay, to our new home. 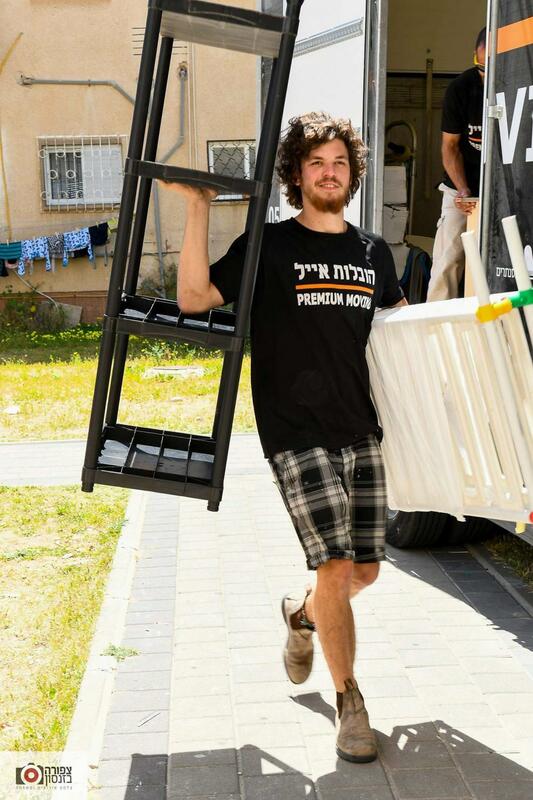 Both moves were not easy and they went smoothly with Eyal and his team. 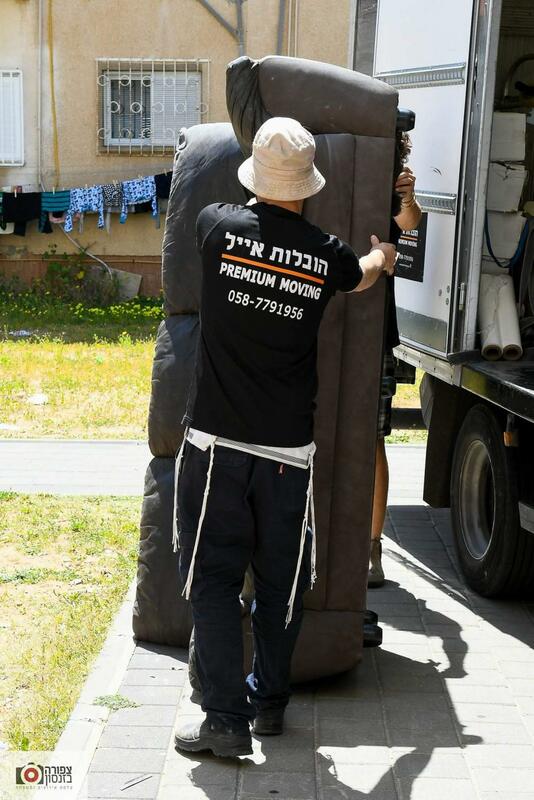 When we initially called premium movers we told eyal, the owner of the company, that it is very important to us that they show up on time and that the price quote would be accurate. We didn't want any surprises and heard many horror stories of how movers showed up hours late or charged them more in the end. We wanted to do our due diligence and so we also called a few other companies. Premium movers gave us the lowest estimate ( and that's what it cost) while some companies didn't even call us back. They showed up on time and got right to work. They packed everything very professionally and were extremely pleasant. The day we moved it was pouring rain but that made no difference nor did the fact that they weren't allowed to park the truck on our street. Everything was handled with care and they even helped us with a few things on the apartment that had nothing to do with the move. I can't imagine hiring any other company and highly recommend them. They were awesome! I can't think of one negative thing to say about them. Professional, friendly, hard workers, honest.. They made moving stress free.also they really care about customer satisfaction. They made sure we were happy with everything. i recommend them in the strongest terms. Great guys! Excellent service, professional, fast and efficient. Best of all, they offer extremely reasonable prices. I would not hesitate to use them again or to recommend them to others! Stress free packing is an understatement here! These guys are real mentsches and happy to do an awesome job. They are responsible, reliable, efficient, honest, polite, and professional. The cost is also very reasonable - they quote precisely and are very fair. They came to me on short notice, brought all their own equipment, and professionally and securely packed up everything, I hardly had to be involved. They also labeled all the boxes and were very organized. Did an excellent job. Highly recommended!